Where can I purchase the lanterns? - Lanterns ? 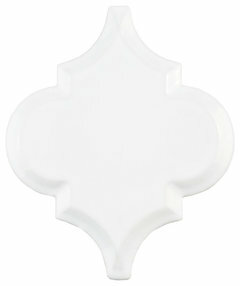 Who makes the beveled arabesque tile in ivory coast? I believe the cabinet colour is likely Kendall Charcoal. Stunning kitchen! - Congratulations, stunning kitchen. Can you please name the vendor of those fabulous island pendants? Thank you. do you know the name of the white of the island? That refrigerator is killer. We have used it in a few of our builds! Cabinet color - What is the cabinet color? Sherwin Williams Dorian Gray is pretty close. OH NO! I need help! Inspiration without solutions is frustrating. LOL. Why don't you open up a separate division for the service / support aspect? In the time it took to post that "We created our Houzz page for inspirational use" comment ^^, Revision LLC could have made quite a few people happy by mentioning the cabinet colour. Please contact Sarah at Elsie Interiors for further information about the pendant lights. Need that tile! - Please tell me where to get the backsplash tile! We have a similar product available on Houzz! Where are the island stools from? where are pendant lights from? also what is dimension of island? The island is 8'6 x 4'6. The kitchen is 19'-8 1/4 x 8'-4 1/2 not including the space behind the stools. backsplash tile? Where can I get it? - would love to find out where i can get the backsplash tile! Gorgeous! Dimensions? - Can you provide the dimensions of this kitchen as well as the dimensions of the island? Is the island top, one piece? And what is the material? Thank you! Yes, It was a version of Crema Marfil that was cut a few year ago. back splash - Where did you order the back splash tiles? Where I can buy the stools? Chandelier - Who makes the chandeliers? Chandelier - This question has been asked several times but not answered. So who does make the chandeliers? The pendants look like the Mr Brown Paris lantern. I love the kitchen stools. Can you tell me where to find them? Sarah at Elsie Interiors. Please contact her for further details and pricing regarding the stools. does anyone know the name/mfg of these beautiful lights? That's all that comes to mind. Good luck! I also might risk cork. I've never tried it but it comes in rolls, is affordable in the veneer format and if it gets water stains, you could replace a strip. Chandelier - Who make the light fixtures? Where can I get the lanterns???? Please contact Sarah at Elsie Interiors for information regarding the lanterns. window treatments - Where can one get the roman shade? Look at smith noble but it looks custom. Sarah at Elsie Interiors. Please contact her for further details and pricing regarding the shade. Chandeliers? Where are they from? - Chandeliers? Would you provide me with the manufacturer of the lighting? - Thanks! Backsplash curtain - Where did you get the backsplash and curtain? Sarah at Elsie Interiors. Please contact her for further details and pricing regarding the curtain. how heigh is the ceiling? 9'? How high is this ceiling? Kitchen cupboards - What is the brand of paint and colour name used on the cupboards? Mfg of lights? - Light mfg please! ISLAND - what are the dimensions of the island please ! Approximate cost of the island? These lights are gorgeous...manufacturer/brand? - These lights are gorgeous...manufacturer/brand? Thank you! Beautiful design! Where is the backsplash from? Elsie Interior design had selected it. I believe it is no discontinued as it was a few years ago that it was installed. Floors - I love the floors! Is that oak? What is the stain? mcoliadis you are right. Those look like Plain Sawn grain Oak floors. I cant tell the stain color. It looks custom. Question about BULBS - Beautiful design! Would you happen to know if this lighting is White LED bulbs? Are the bulbs frosted? I know it may seem like an odd question, but I'm having a challenge finding white led bulbs in the candelabra bulb style that aren't frosted. Thanks! Thanks! They are just regular 40W candelabra clear light bulbs. They are not LED. Floors - Floors are beautiful with the gray cabinets. Are they white or red oak and would you mind sharing the stain color?? floors - loving the wood floors. What brand/color? Jennifer Pregler, those are site finished Plain Sawn Oak floors. The stain color looks very custom. Flooring - Do you have details on the flooring? Chris Harman, thats site finished Plain Sawn Oak. 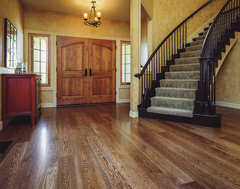 We sent a similar floor to a client in CA recently. gorgeous. Does anyone know the brand or color name? provide answers to your questions. All of the furnishings were specified through Sarah at Elsie Interiors. Please contact her for further details and pricing regarding the lanterns. Its an Oak floor. Color looks similar to Jacobean. What are the dimensions of this kitchen and also of the island? - What are the dimensions of this kitchen? What are the dimensions of the island? Corbels under the hood - Where did you get these corbels? I want them! Sarah at Elsie Interiors. Please contact her for further details and pricing regarding the corbels. Wood floor - What color and type of wood floor? Length and width of island - What is the length and width of the island? island - who is the manufactured for the island? The part of the island facing the photographer is custom trim and would have been fabricated onsite. The other side would be cabinets. Counter fabed offsite by counter/granite trade. I just love the colour of these cupboards,in fact the whole look is great,thanks for sharing. dimmensions - could you please tell me the dimensions of this kitchen? Could you provide the name of the manufacturer for the lights? - I would appreciate it if you could forward the information on the lights.Thanks so much. Countertop - What is the island countertop made off? This is a (honed) Crema Marfil countertop. What's the brand and model of the cabinet handle next to the fridge? - Also, what's the length of the cabinet door (next to fridge, sitting on counter) and what's the length of its handle? Thank you! This looks like Subzero 36" frig and 36" freezer placed side by side with 72" grill. This is what I am doing in our new construction. But I could be wrong. What is the brand and color of paint on the cabinets? Where from are those chairs,great kitchen desing - Kitchen desing cograts. Sarah at Elsie Interiors. Please contact her for further details and pricing regarding the chairs. The floor stain looks like Jacobean over Oak. Kitchen dreaming - What kind of countertops are these? What are the dimensions of this kitchen? Gorgeous! Island - Width of Leg/Post - The design looks fantastic! What is the width of the island leg/post to the right and left of the stools? Thanks in advance! Island Corner Post - The kitchen is fantastic...congratulations again! When looking at the island seating, how wide is the post to the left and right of the chairs? Thanks in advance! Bar stools! - Where were the bar stools purchased? Brand? Style? who is the manufacturer of the refrigerator? - who is the manufacturer of the refrigerator? I would love to know the paint colors on the cabinet and walls. - Beautiful! 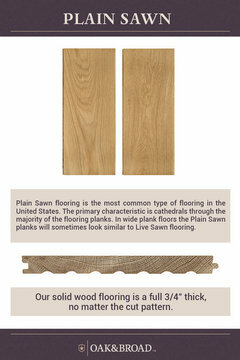 Floor - Red or white oak ? Ans what stain was used ? Where are the chandeliers from? - THOSE Chandeliers, where are they from Please? Size of Kitchen - I love this kitchen design and layout! I'm trying to see if I have the square footage to have a similar layout in my home. What are the dimensions on this kitchen, i.e. the length of all 3 walls. Thanks! What paint color are the cabinets? - Is it warm stone by Sherwin Williams? Ceiling height - Could you please tell me the height of this ceiling? Thank you. Cabinet color plz - What is the cabinet color on the walls? love the cabinets, how can I purchase them? Dimensions - This is a beautiful space! Can you please tell me the approximate cabinet runs/size of space and the size of the island? How do you handle the same question being asked 40 times? - I just read through all of the questions. This must be torturing. Good job trying to keep up with it. Beautiful space and work. Love these pendant lights - Could you tell me where to find them to purchase? Hardwood species and stain color - Hello. We are remodeling our house and our new cabinet color is very similar. Can you tell me the type of wood and stain used? We are refinishing red oak. ceiling height - 9 ft or 10 ft ceilings? Could you tell me what the appiance manufacturers are? Esp the frig? - The appliances certainly make this kitchen. I always run out of refrigerator space. Amazing Kitchen - What an amazing looking kitchen, nice work! Where can the lights be purchased? Can you tell me the brand/make of the fridge? Beautiful kitchen- size? - Could you tell me the length of the wall with the sink and cooktop? where can i purchase this type of island? The island? - Where is it from? Some thoughts before you post - I understand that you don't have time to individually respond to all these questions! By posting pictures on Houzz for inspiration, you are inviting questions. You can avoid this by simply having all the colors and manufacturers tagged with that little green tag when you post. You could add 5 sentences to the description and tell about the marble and the flooring etc... It may take a phone call to the designer you keep referring all of us to, but no one knows how to contact. 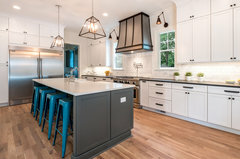 Everyone of Houzz's loyal browsers love to know what the paint colors are, and where the pendants come from. This is not unique to your post. Its really disappointing to us the customer for you to post a gorgeous kitchen with no back up. Floor - Hi, what is the stain color on the floor? island - what are the island dimensions please? Where can I purchase the cabinet pulls? Who is the mfg of the island fixtures? Drawer pulls - The drawer pulls are beautiful. Do you mind sharing where I could find those? Great design...what is backsplash? - What is the manufacturer/distributor? Cabinet Hardware - Can you share the make and model of the cabinet hardware? Thank you. Layer 3: Lights for Feeling Showcase lights, also known as accent lights, all have one thing in common: They help a space feel more inviting and comfortable. Whether you use illuminated cabinets, chandeliers, sconces or pendants, showcase lights should be visible from wherever you stand or sit in the kitchen. That way you’ll get the benefit of this feel-good lighting at all times. Showcase lights might also help you perform functional tasks in the kitchen, but their main purpose is to draw attention and make a room feel complete. really like the idea of a two stack oven and a separate cook-top. Ideal stack would be one large oven, one small convection / microwave combination. Preference for the sides/ends of the island.